What I thought to be just a simple call from Dr. Warong, the former MP for Phitsanulok, was actually a moment of seventh heaven. “I’d like to speak to you. Can we meet?,” he said. “Sure, Dr. When and where?,” I replied. Prior to hitting the answer key, I already had the hunch that we’re going to talk about the continuation of our project and the recruitment of teachers. Well, my hunch was right but with an added spice. After exchanging pleasantries, the meeting was arranged. His car stopped in front of my house. I hurriedly put my shoes on, closed the gate, and hopped inside his Lexxus minivan. But what exactly about the project are we going to discuss about? I asked myself. Minutes later, I found myself sipping my favorite milk tea. “John, I have a good news for you and I’d like to break it now,” said Dr. Warong. My heart pumped fast, my eyes glowed, and my sense of hearing was akin to that of a bat, the king of extreme hearing in the mammalian world. I know you’re excited to know just as I’m excited to tell you. “The pilot project we started last year is expanding,” said Dr. Warong. I saw his eyes glowing and full of excitement as he narrated the development. “Nine provinces including Phitsanulok and the capital Bangkok are now one with the pilot project. All of them have to recruit Filipino teachers before the new school term commences in May,” he added. According to Dr. Warong the provinces that are now involved with the project are Phrae and Lamphun in the north; Korat and Ubon in the northeast; Kanchanaburi, Rayong and a school in Bangkok in central Thailand; and in the south are the provinces of Nakorn Sri Thamarat and Songkla. Teachers in this project will receive 25,000 to 30,000 monthly salary for 12 months, with two months off. Dr. Warong also added that Dr. Suppachai, the former MP for Ubon, would like me to help in recruiting teachers. 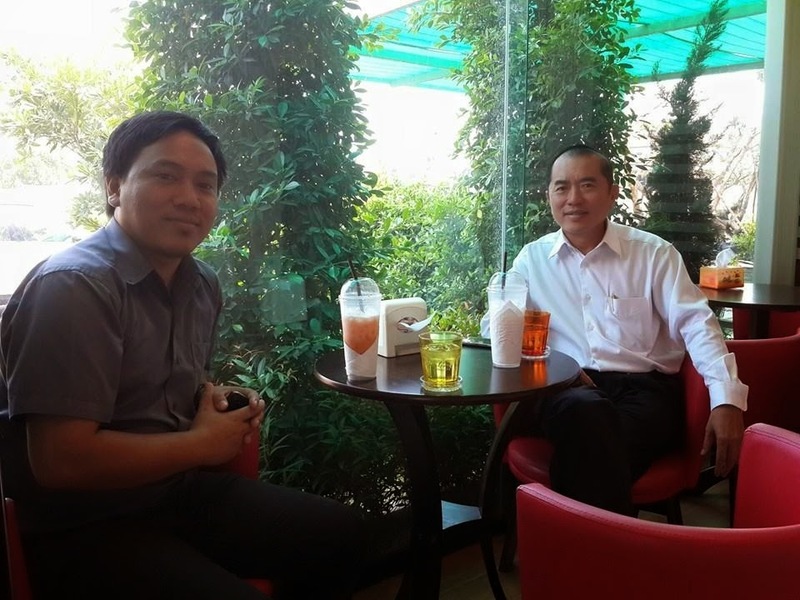 I had the privilege of talking to Ubon’s former MP when Dr. Warong introduced me to him via the telephone. Dr. Suppachai, a man with few words during our call, asked me to give his phone number to my friends in Ubon or near Ubon. I already contacted trusted friends in Ubon awhile back. They are employed but they promised to help me choose the lucky ones. I guess that saves me trouble looking for teachers myself. LoL. I’ll give them Dr. Suppachai’s number once I got the confirmation that it’s okay to have the number given. That’s just for Ubon because Dr. Supachai does’t have any idea how to look for teachers. As for the other places, sooner or later they’re going to start looking. It could be you. I was like, “Is this for real?” But seriously, I can’t believe we’ve come this far in just a short period of time. Successful ang pilot project na sinimulan namin. Now’s the time to reap the harvest! Next Next post: Crab, back off!